Perhaps I had no business as someone who is not a mom to be opting to review this book. But I love to get a peek into ‘other worlds’. Having watched aunts, cousins and friends mothering their children and attempting to live ‘normal’ lives simultaneously, I thoroughly enjoyed reading Leah’s humorous, yet ever so wise advice on parenting. Starting with the pregnancy test and taking you the various stages of pregnancy and raising a toddler, I’m sure that the various anecdotes and emotions shared will resonate with many parents. What was really nice about the book is the little space for reflection at the end of every chapter. Simple questions to get parents reflecting. I think this took the book to another level. This is the kind of book I’d like to give to parents-to-be and to Moms who are still trying to find some sense of this wild adventure of parenting that they’ve embarked on. I hope someday to be a mother.I love the smell of babies just after they have a bath. I liked your review. It would make a great gift to new parents because most of us were totally clueless! I read one book before Alpha Son was born – one my mom used for both my brother and I. While it was a lifesaver, it was more technical than humorous! Agree to your views, Corinne! Life is all about enjoying every moment, especially so with the kids for they have a special corner in our lives! So true, Alok. They grow so fast too! Thanks for stopping by on my blog. Early motherhood is like going on a very tumultuous amusement park ride. You’re so busy holding on for dear life you don’t get the full experience as you’re actually going through it. Its only later when you’re safely on the ground you realize what fun you had. What a great analogy, Laurie! Yes, I see lots of moms holding on to dear life…but so worth it in the end! Hey! 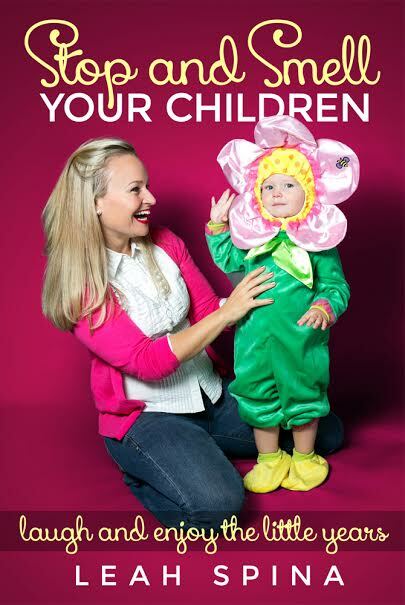 Being a mother of two i am desperately looking forward to reading this book. As a childless aunt, I appreciate your book review. Well done! It’s excellent information. I’m a childless aunt too, Darla. That’s why I loved the book!